Editors Note: Oops, I was so passionate I accidentally said encumbersome, rather than encompasses. That's what you get for working without a script. My bad - don't judge me. 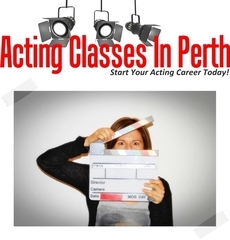 Hi guys and welcome to the Acting Classes In Perth blog I’m Loren and in this session we are gonna talk about what acting really is, what is acting at its core. You know I ask this question a lot at all of our courses, especially our beginner courses, and I get a whole lot of things thrown back to me, I get that acting is "telling a story", that is absolutely correct but how do we refine that even further? Then people might say that acting is "portraying a character", and yeah that’s correct as well but we need to go further back, some people might say that acting is "being honest" that’s absolutely correct and it’s actually a brilliant answer. It is, but that’s not what I'm after either, you know we have to go right back to its core, and acting at its very core is just one thing. It’s a "C" word. It’s not Cucumber, it’s not a capsicum, no it’s not any vegetable, no vegetables. It’s COMMUNICATION. Acting at its very core is communication, that’s all you'll ever do as an actor, is communicate. You're gonna communicate the story, you're gonna communicate the characters, the plots, you're gonna communicate emotions, you're gonna pull the audience in with those emotions, with those stories and with those characters. At its very core, at the very base of acting it’s communication and here’s the great thing. It’s great and it is easy because you in your everyday life communicate. You do, you do it every minute of every day in fact you do it every second of every day, that’s all you do, you communicate. We have two forms of communication. We have non- verbal and we have verbal communication, now what do you think is the most important for an actor? Well yes I know what you are saying, they both equally important. You are absolutely correct they both equally as important. However for an actor the most important form of communication is non-verbal. Why is non-verbal so important? Well I kinda sum it up to one word, ENERGY, whenever you're are in a space with someone, whenever you are communicating no matter what the environment, they don’t need to say anything. No one needs to say anything, it’s all in their non-verbal communication skills, it’s all in their energy and that is what acting is all about. Here's an example I'll give you, I use this in all of my workshops. 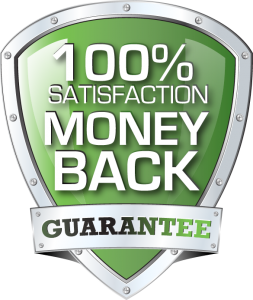 The perfect way to sum up energy, and the perfect way to sum up why energy, and why non-verbal are more important than verbal, is, I will give you a scenario ok... So when you were younger everyone has kinda had this happen to them, so when you were younger, you were probably at home and you were playing around inside, you would have be in primary school, but you were playing at home and you were playing with one of mums vases or you were playing with some expensive plate or an ornament, and you broke it, you dropped it and you broke it, and you kinda freaked out a bit you put it away, you lock it in the cupboard, you go to school and forget about it. Days go by, then one day you come home from school, you walk in the door, you put your bag down, you look up and there's your mum, and she is just standing there, she doesn't need to saying anything, she is just looking at you, and it’s in that moment, in that very moment, you can feel your bum tightening, you're freaking out, she’s looking at you and she hasn't said anything. She has a smile on her face, a very small faint smile, and then she throws one little sentence in there, "How was your day?" The sentence is so menial compared to everything that happened before, it’s that moment in which you walk in and you see her and you think "She knows, she absolutely knows". Now she might not know, maybe she is thinking about something else, maybe you haven’t cleaned your room or whatever, it doesn't matter, but in that moment it’s her non-verbal communication that sells it, and then it’s amplified by dialogue by her verbal communication skills. You know I have a lot of people who contact us or we will be doing a beginner workshop, and they say "I've never done any acting, you know I’m in my 30's’ or 40’s or even 50’s or hell you know like 70’s", we've had students in their 70’s starting to act for the first time, that’s fantastic! And they will say to me "look you know, I’ve never done any acting, I don’t know if I can do this" and I will say "Of course you can, of course you can!" On a side note, a bit of a side note in here, if you interested in one of our blog posts talking about am I too old to act, you can go to www.actingclassesinperth.com/blog007 and that will have a blog post called ‘Am I Too Old To Act’, have a read it’s really interesting, the short answer is no, but it’s really interesting, have a read. And I have these people say to me "you know I've never acted before, you know I’m 30,40,50+" and whatever, it doesn't matter, they can be 16, they say they have never acted before, they say "Can I do it?" and I say "Of course you can". How do I know this? Because acting is just communication and you do this every single day. The problem is, when people get up to act, they think they have to ACT and so what they do is they start over acting. Acting is not about over acting, acting is about nothing, it’s about the energy, it’s about the non-verbal. Forget the dialogue, don’t worry about the dialogue, learn it, learn it, learn it, forget about it. Focus on your characters energy, their physicality, their look, ALL that encompasses their non-verbal communication. That’s our tip for today, until next time, stay safe and as always happy acting.